Coming up with an idea for your floor surface doesn’t have to be a boring or expensive undertaking. 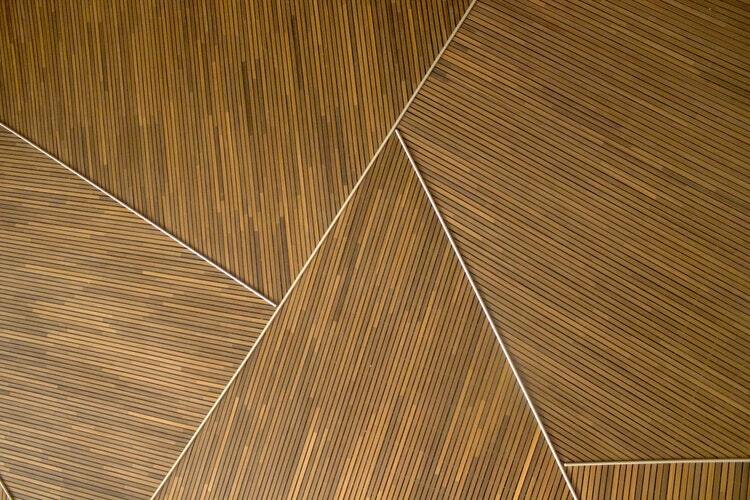 Indeed, some of the best flooring ideas seem to come out of the blue, but that is exactly what makes them so special. Whether it’s floors made out of old and seemingly unattractive-looking wood, or those with neatly-arranged bottle caps as the main theme, you can promote your house’s walking area into an exciting piece of action simply by using some creativity! In this article, we’ll talk about floors and what how you can turn a usual, every day Joe floor into a curiously beautiful-looking one. At a budget, as well! Alright then, ladies and gentlemen, here’s the deal. And we’re not talking about an instance where all of your change goes through a hollow pocket. What we instead mean is that you can cover your floor with small coins neatly arranged together, so that they make for a uniform theme o’ heads and tails! All you need to do is to get you some pennies, make sure they’re clean-looking and everything, then arrange them on the floor, glue them together, add some dark matter (grout will work) in between them to fill in the blanks, and then finish everything off with a see-through finishing coating. Wood is one of the most commonly-picked materials for floorings. This is no wonder, really, as it both looks good and gives your home a warm and rustic atmosphere. That being said, wood can get quite expensive, especially if you’ve got a lot of floor to cover. Well, if you’re working on a budget, but still can’t possibly imagine your office without a wooden floor, don’t worry, for there’s an easy solution: get yourself some second-hand wood! Formerly a part of a wine or beer batches, second-hand wood still looks quite awesome, but it will set you back a significantly smaller sum of money than some of its fancy-pants new types of wood straight from Alaska. A solution that pretty much goes without saying, really, is to cover your floor with a carpet. 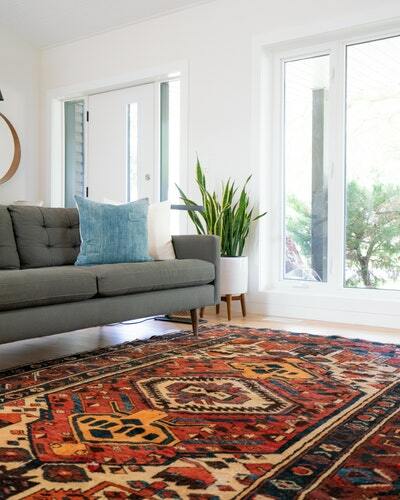 The great thing about carpets is that they come in all shapes and sizes, so you can pick and choose your home flooring theme to your heart’s content. If you’re a sports fan, one of the cheeky ideas you can use is to make your floor the shape of a football pitch, for example. All you need to do is to order a carpet in green with fashioned white lines, make sure to give the staff at the store the accurate dimensions, and there you have it. Mat Shop Australia, for example, for those living in Australia can be a great go-to place for finding a wide variety of mats and other flooring accessories to complement your carpet! If you can currently afford an elaborately-organized flooring, what you can do instead to your existing one is to simply apply a thick layer of paint to it that will then act as a sort of an impromptu linoleum. First, make sure to clean your floor thoroughly before you start applying any paint. This is important because you want the paint to stick to the surface well, and if there are dust and other debris in the way, this may not be really possible. After you’ve ensured that your floor is spick and span, you can start applying the paint! You can pick any color you want, but make sure that you have enough of it because the layer needs to be thick. What do you get when you combine the concept of a fluffy carpeted area with the massive creative freedom you get when placing tiles next to each other? Why, carpet tiles, of course! Designed to mimic the look of tiles while still maintaining the soft texture of a carpeted area, these interesting flooring items can do wonders to your uncarpeted area. The great thing about them is that you can have as many of them as you want and then just change them up every now and again to get a completely different look! As far as installation is concerned, all you need to do is simply put them in place next to the other tiles and that’d be it, really. All things considered, working on a budget doesn’t have to mean your flooring will have to look bad or underfunded. With a bit of patience, creativity, and a small amount of money, you can not only match the other, much more expensive flooring solutions, but also outdo them! We hope this article gave you some ideas on how to approach organizing your flooring and wish you the best of luck with your home decor pursuits!